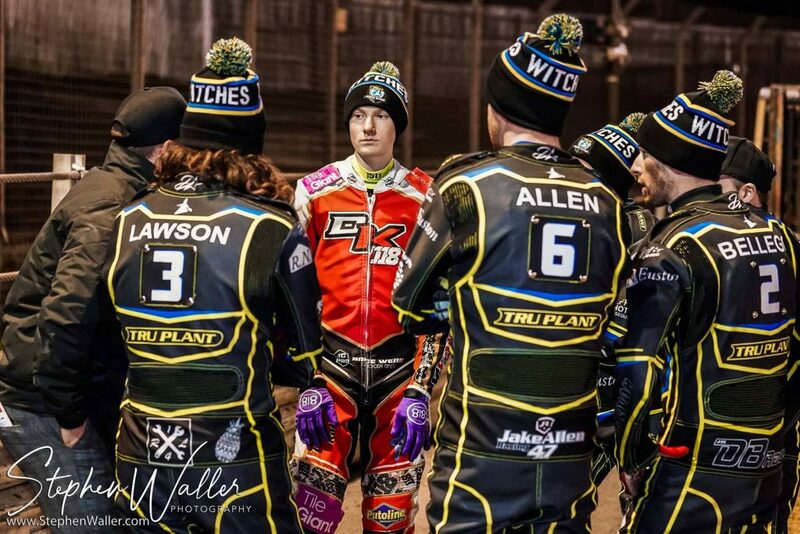 ‘Tru Plant’ Witches team manager Ritchie Hawkins says his side learnt a lot in their 48-42 win over Leicester in a challenge fixture at Foxhall on Thursday. The Witches held the lead throughout the meeting, but it was never too comfortable as their Championship opponents kept things relatively tight over the course of the evening. Hawkins says it was a night for experimenting new things with the season starting for real next Thursday. The boss was pleased to see every rider contribute to the win and was encouraged by the performances of Jake Allen and David Bellego. The former skipper confirmed that Cameron Heeps came through the meeting unscathed after injuring his wrist last week and believes the Australian is getting back to his best. Hawkins is now looking forward to the East Anglian derby at Foxhall next Thursday against King’s Lynn in the Supporters Cup and says it is a must-win clash.